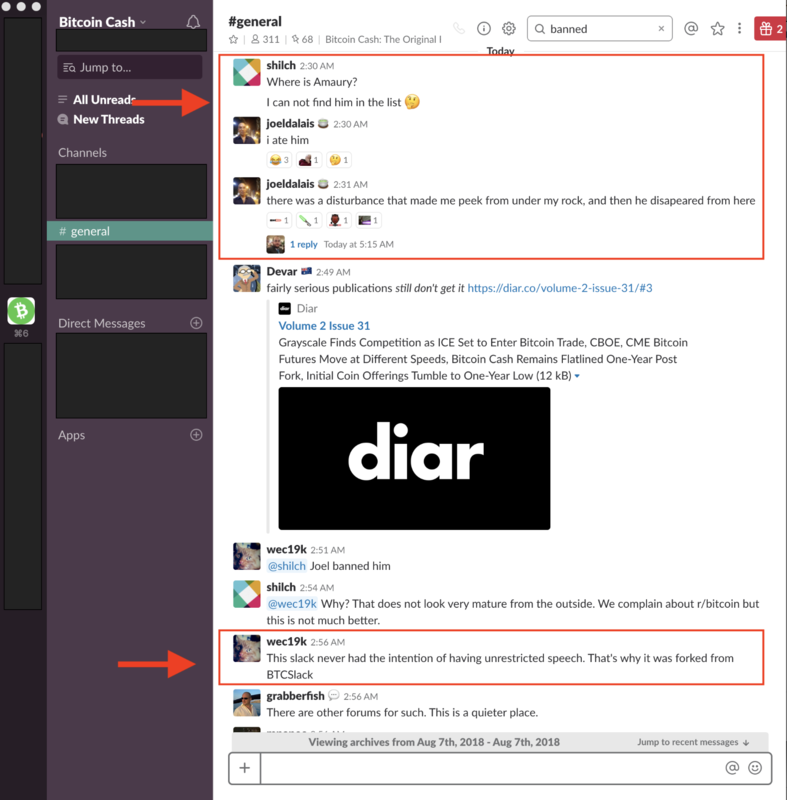 Bitcoin Cash lead creator Amaury Séchet has reportedly been expelled from the cryptocurrency’s Slack community following a dispute over his proposal to reduce transaction times using the “pre-consensus” framework. Prominent Bitcoin Cash promoter Roger Ver broke the news on a Reddit thread that attracted more than 800 comments. Having been with the project from its very beginning as the so-called “benevolent dictator” of Bitcoin Cash, Séchet was instrumental in pushing for several changes such as the present Emergency Problem Adjustment solution. According to many sources, he was very vocal abut his preference for a “pre-consensus” solution, which would function as a kind of organised settlement with block miners to reduce the speed of orphaned blocks. This proposal however, was opposed by other members of the community, notably by Craig Wright. On Aug. 7, the conversation in the Slack channel apparently became heated, eventually leading to Amaury’s expulsion from the group, ostensibly for bad behavior. Expectedly, the Séchet’s banning has caused a substantial reaction in the wider Bitcoin community, with many posters on the Reddit thread stating that such actions are in direct opposition to Satoshi Nakamoto’s Bitcoin vision. Due to the libertarian origins of Bitcoin, which is still reflected in the political leanings of many in the community, a number of users have taken to Twitter to express their dissatisfaction over what they view as censorship. Some other users however have taken the position that Séchet’s expulsion was in order, stating that even within the crypto world, there are limits on free speech. On the Reddit thread, a number of posts make reference to him being “toxic” and “attacking” other members on the Slack community, though these claims have not been substantiated. The news comes at a contentious time for the Bitcoin Cash and the wider Bitcoin ecosystem, which has been pummeled in recent days by falling prices and anxiety over delayed regulatory decisions. Only two weeks ago, the Bitcoin community experienced its own divisive public row on Github over the ownership of the Bitcoin.org website. One camp demanded that pseudonymous user Cobra-Bitcoin hand over ownership of the Bitcoin.org domain to Theymos, or hand over permanently to a community trust.